Nathan Eovaldi has faced the Yankees three times since joining the Red Sox, and he has been nothing short of dominant. 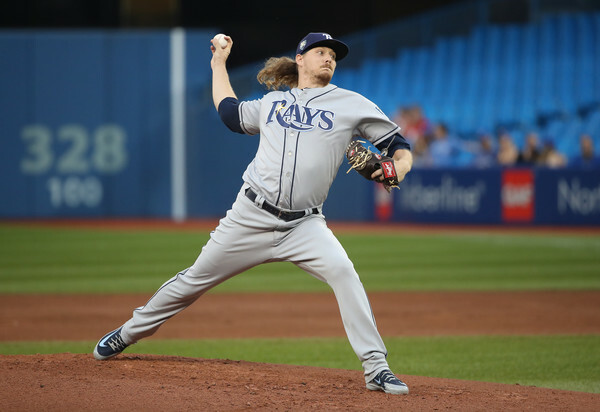 His overall line in those games is 16.0 IP, 6 H, 1 R (0 ER), 3 BB, and 13 K, and it may well have been better had he not been pulled after two effective innings on September 29 (it was effectively a means to keep him stretched-out in a meaningless game). 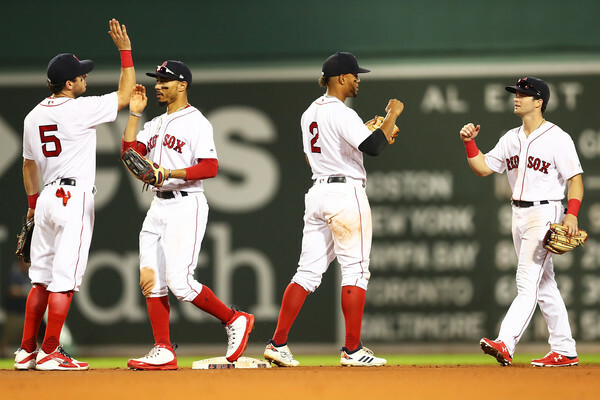 We saw flashes of this sort of dominance before, but it was sporadic at best – and the fact that this has come with the Red Sox makes it even more maddening. But I digress. Let’s take a look at this new and improved version of Eovaldi. When Eovaldi last pitched for the Yankees in 2016, all of the talk was about maximizing his newfound splitter. 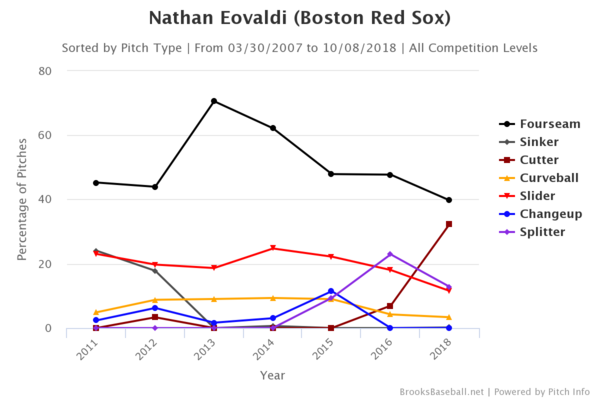 The pitch was, for all intents and purposes, born in 2015, accounting for 9.4% of his offerings; the usage more than doubled in 2016 to 22.9% … and then his elbow went ‘boom.’ To that point, Eovaldi was basically a three-pitch guy, with his four-seamer, slider, and splitter. This year, however, we’ve seen the unveiling of another new-ish pitch: a cutter. As per Brooks Baseball, Eovaldi threw a total of 220 cutters from 2011 through 2016; he threw 577 this year. His cutter represented just under a third of his offerings this year, and he threw fewer fastballs and sliders than ever before. And while batters are hitting .252 against the cutter, his four-seamer (.206) and slider (.219) have been at their most effective this year – and that may be attributed to the increased use of a pitch that essentially splits the difference between a four-seamer and a slider. Eovaldi’s velocity remains elite, too. His four-seamer averaged 97.6 MPH this year, his cutter sat just over 93 MPH, and both his slider and splitter sit in the upper 80s. So what, if anything, does he do differently against the Yankees? Eovaldi’s splitter usage jumps out the most. He threw 213 pitches against the Yankees in his three Red Sox appearances, and just 9 of those (or 4.2%) were splitters. Compare that to an average of 12.8% overall, and it seems like a conscious decision by Eovaldi and/or the coaching staff. Those splitters were almost entirely replaced by cutters, which represented 39.0% of his offerings against the Yankees. Between that and his four-seamer, Eovaldi is throwing roughly 80% of his pitches at 93-plus MPH against the Yankees – and it’s been working. It’s also worth noting that, by FanGraphs’ model, the Yankees are one of the worst teams in baseball at hitting the cutter. They ranked 25th in baseball against cutters, losing 7.2 more runs than the average team against it. And by that same metric, Eovaldi had the 9th-best cutter among starting pitchers, just behind CC Sabathia. All that being said, it’s worth noting that Eovaldi’s approach in his lone start against the Yankees as a member of the Rays was largely the same – and the Yankees knocked him around for 8 hits and 5 runs in 7.1 IP. He improved as the season wore on, to be sure, and that was his fourth start after a nearly two-year layoff, but it hasn’t been all doom and gloom for the Yankees with him on the mound. And he hasn’t yet faced this fully operational offense in playoff atmosphere Yankee Stadium, either. This is it, folks – the last series of the regular season. The Yankees are sitting at 98-61, meaning they’ve already clinched their best record since 2009, and their magic number for home-field advantage in the Wild Card game is one. That means that there is, in an ideal world, precious little to play for this weekend so long as we see a Yankees win or an A’s loss at some point. So here’s hoping for as little drama as possible. Aaron Judge returned to the lineup in the first game, but Neil Walker played the role of hero, knocking out what proved to be a game-winning three-run home run in the 7th inning. J.A. Happ was pretty good, too, allowing just one unearned run in 6 innings of work. Luis Severino had arguably his best start of the month (if not the second half) in game two, tossing 7 innings and allowing 6 hits, 1 run, and 1 walk, while striking out 6. Luke Voit was the story of the second game, though, going 4-for-4 with two home runs. He hit another home run the next night, too. We won’t talk about game three otherwise. 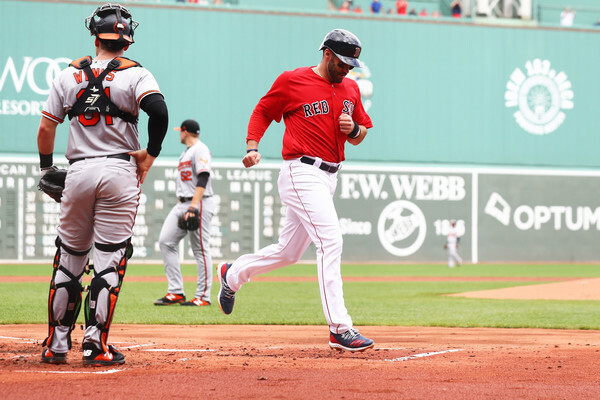 Not much has changed since the last series – Marco Hernandez, Dustin Pedroia, and Carson Smith are done for the year, and Eduardo Nunez’s knee is still bothering him. The Red Sox are 107-52 with a +229 run differential, and clinched the best record in baseball what seems like a lifetime ago. They lead the majors in runs scored by 25 (the Yankees are second), and only the Astros and Dodgers have allowed fewer runs. As much as I hate to type these words out, they’re the team to beat right now – and it’d be disingenuous to say otherwise. Steve Pearce (138 OPS+) will start somewhere against J.A. Happ, Brock Holt (105 OPS+) will start a game or two at various positions, and Christian Vazquez (47 OPS+) should see some time behind the plate. 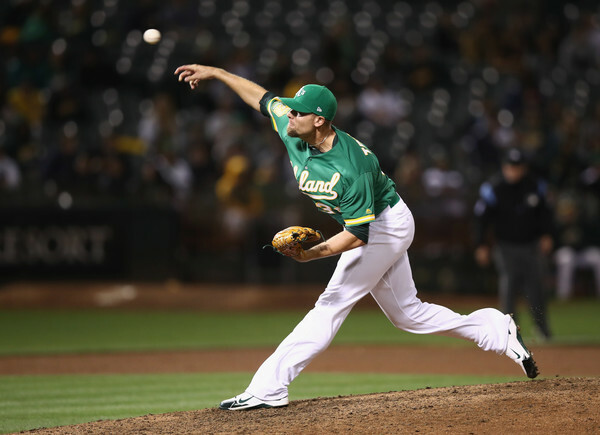 Johnson started against the Yankees back on August 2, and it was a mixed bag for the 27-year-old southpaw. He walked away with the win and struck out 11 in just 5 innings … but he also allowed five runs. I suppose that’s what happens when your team wins 15-7. But I digress. 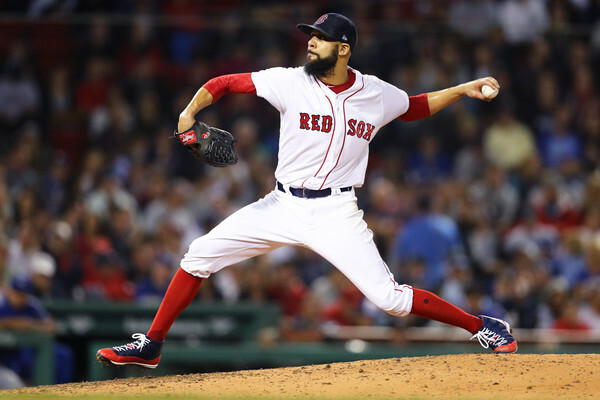 Johnson has been more than serviceable for the Red Sox this year, pitching to a 4.11 ERA (106 ERA+) in 96.1 IP split between the rotation and the bullpen. Eovaldi has faced the Yankees twice since being acquired by the Red Sox, and he’s been all but unhittable, pitching to the following line: 14.0 IP, 5 H, 0 R, 3 BB, 9 K. His ERA in the seven games between Yankees match-ups is 6.58, which is endlessly frustrating, as well. Porcello has been his typically average-ish self this year, pitching to a 4.33 ERA (101 ERA+) in 189.1 IP. He rarely misses a turn in the rotation, and he’s pitched into the sixth inning in 26 of his 32 starts. And his two best starts of the year have come against the Yankees; he threw a complete game one-hitter on August 3, and 7 innings of shutout ball on April 12. So let’s hope Sunday is more similar to his May 9 start in which he allowed 5 runs in 5.1 IP. Closer Craig Kimbrel is having his typically strong season, but he looked completely lost his last time out; he faced five batters, walking three and hitting one, and left the game with the bases loaded (and all of those inherited runners would go on to score). It’s a bit shaky behind Kimbrel, with knuckleballer Steven Wright being the only other standout of late. Ryan Brasier has been solid, as well (albeit prone to Yankees-related shellings), and Matt Barnes and Hector Velazquez have had good seasons. It’s a Yankees-Red Sox series with a little something on the line. That’s all I need. 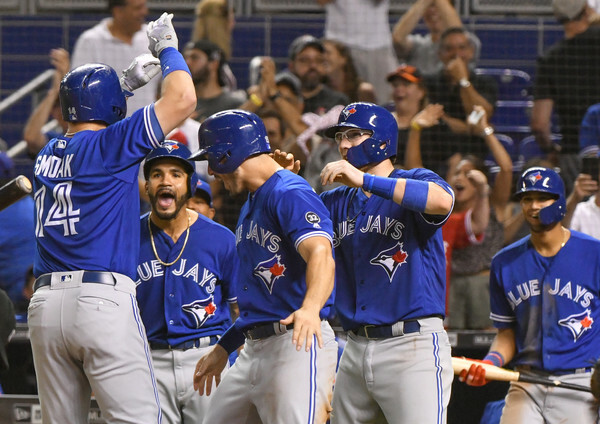 The Yankees opened their final homestand of the 2018 season by dropping two out of three to the Blue Jays, which isn’t great. 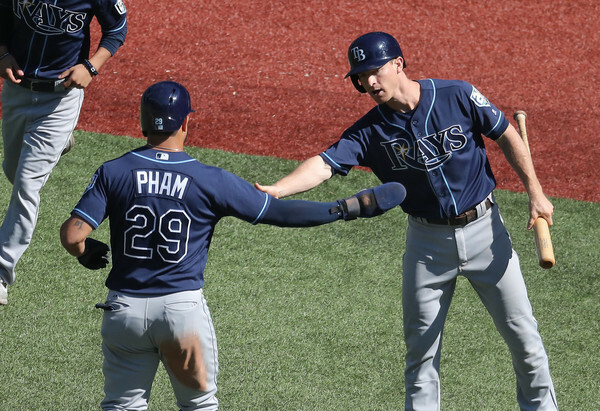 Luckily, the A’s also lost two out of three this weekend – thank you, Tampa Bay (which is a sentence I feel strange writing) – so the Yankees remain two up in the loss column in the Wild Card race. And that’s something. Next up: the Boston Red Sox. Giancarlo Stanton had three multi-hit games, and went 6-for-16 with two doubles and a home run overall. Chance Adams had a decent big-league debut, going 5 inning and allowing three hits, three runs, and one walk, while striking out a couple. That’s about it. Check out Katie’s Yankeemetrics post for more information. Dustin Pedroia and Carson Smith are both done for the season. 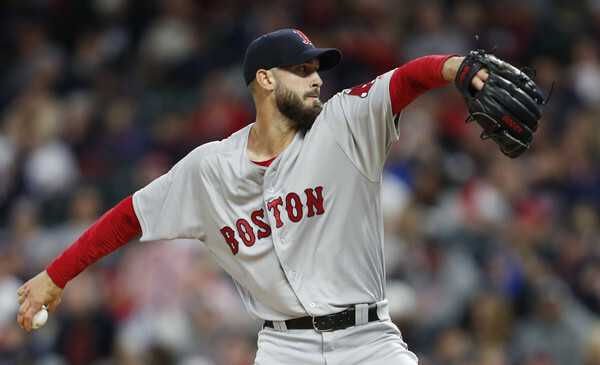 Matt Barnes is working his way back from hip inflammation, and has thrown a couple of bullpen sessions already – he could be back soon. Mookie Betts (oblique) and Eduardo Nunez (knee) are both banged-up, but neither is expected to hit the disabled list; and both should play this series. The Red Sox are 103-47 with a +221 run differential, and have already clinched a postseason spot. Their magic number to clinch the AL East is two, so one win this series will do the trick. It’s only a matter of time before they clinch home field throughout the playoffs, as well. 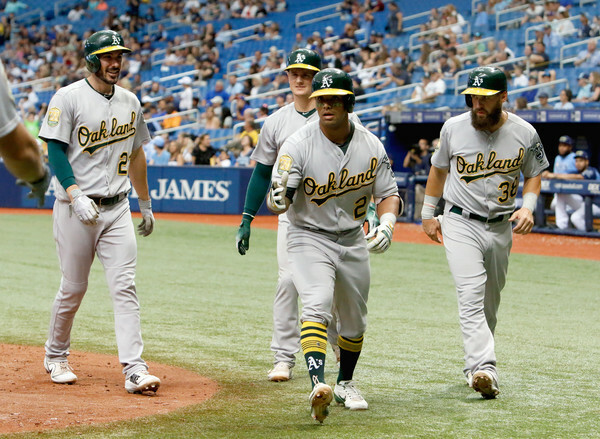 They lead the majors in runs scored, they’re third in runs allowed, and they’re seventh in FanGraphs’ defensive rating. This is a well-rounded team, to say the least. Steve Pearce (149 OPS+) will probably start at first against J.A. Happ, and Brock Holt (98 OPS+) could grab a start or two at any number of positions. 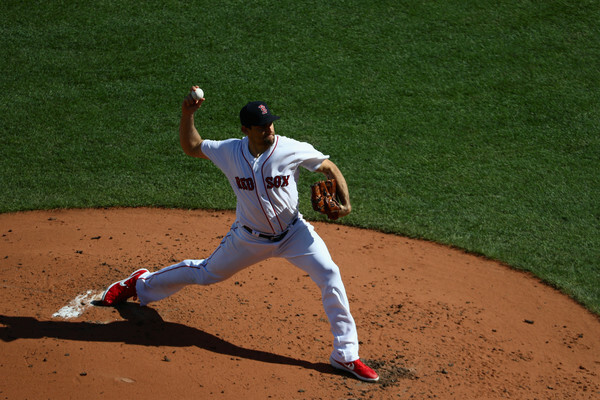 Eovaldi has been a solid pick-up for the Red Sox, pitching to a 4.17 ERA (105 ERA+) in 41.0 IP. 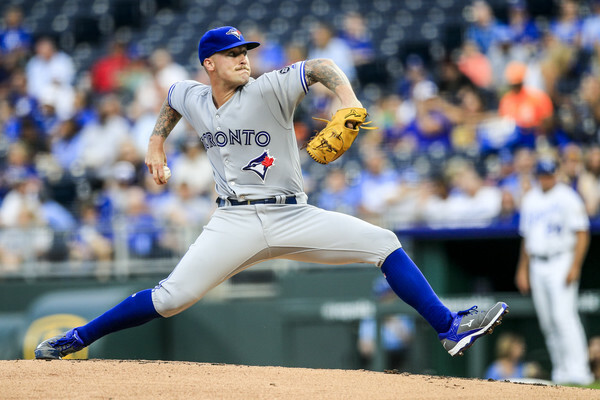 His underlying numbers have slipped quite a bit, though, with his strikeout rate dipping by 7.8 percentage points and his walk rate jumping by 1.9 percentage points. It hasn’t hurt him (or the Red Sox) thus far, though. And he did throw 8 shutout innings against the Yankees on August 4. Price has been incredible since the All-Star break, pitching to the following line: 57.2 IP, 39 H, 9 BB, 60 K, 1.56 ERA, 2.25 FIP. That stretch includes his outing against the Yankees on August 5, where he allowed two runs in 6 IP. Price’s pitch selection hasn’t changed all that much on a game-by-game basis, so this is simply a matter of a talented pitcher getting hot at the right time, it seems. This year constitutes something of a breakout for the 25-year-old Rodriguez, who has career-bests in ERA (3.53), strikeouts (26.3%), and walks (7.1%). The Yankees have seen him twice this year already; he shut them out for five innings back on May 10, and then allowed five runs in 6 innings on June 29. I’m hoping for more of the latter this time around. Craig Kimbrel had a bout of mortality coming out of the All-Star break, allowing runs in five of six games at one point and seeing his ERA climb by 0.86 in the process. He has settled down since then, though, pitching to a 0.82 ERA in his last 11 appearances. 31-year-old rookie Ryan Brasier has come out of nowhere to be a lights out late inning option for the Red Sox, pitching to a 1.53 ERA (286 ERA+) in 29.1 IP since being called-up in June, and he’s been the team’s best non-Kimbrel reliever in Barnes’ absence. Drew Pomeranz was moved to the bullpen in August, and has struggled mightily in that role with a 5.79 ERA in 18.2 IP. Outside of those two, it’s the usual suspects – Heath Hembree, Joe Kelly, etc. The bullpen is probably the closest thing to a weakness the Red Sox have, as it has been largely middle of the pack since the break. The Red Sox have close to nothing to play for at this point, whereas the Yankees are fighting for home field advantage in a one-game playoff. That’s a recipe for excitement, isn’t it? Aaron Judge is the best player on the Yankees, and it isn’t particularly close. He leads the team in WAR by half a win, despite having last played on July 26, and his 155 wRC+ leads the team by 27 points. Hell, he’s still ninth in the American League in WAR despite giving up a minimum of 93 plate appearances to every other player in the top-ten. Judge is one of the best players in baseball, and that cannot be overstated. And the Yankees have seriously felt the impact of his absence. They’re 64-35 (.646 winning percentage) with Judge in the lineup, and 26-19 (.578) without him. While that big swing cannot be solely attributed to Judge, it’s clear that the offensive identity of this team is wholly different without him. So what’s with the title of this post, then? Simple: Judge is under team control for a minimum of four more years, and the Yankees are built for 2019 and beyond. So why risk further injury? As is the case with Mike Axisa, I am not a doctor. I do not know the risks associated with playing through a not-fully-healed chip fracture, so this may all be a moot point. At the same time, however, Judge is still feeling pain, and it is difficult to see that as anything more than a red flag with my uninformed eyes. The Yankees have had some bad luck with players coming back too soon recently, most notably in the matters of Mark Teixeira and Greg Bird. Those were different injuries to different players, to be sure, so there isn’t a one-to-one comparison – but Judge is also significantly better than either of those players, and (as we know all too well) much more difficult to replace. 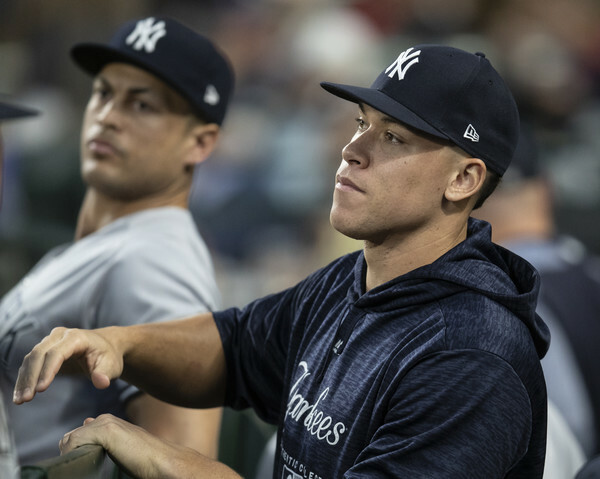 If their is even the slightest chance that aggravating this injury could have similar repercussions as we’ve seen before, then I can’t imagine bringing back Judge, even as the team is poised for a deep playoff run. It is true that flags fly forever, and playing for next year doesn’t always work out all that well – just take a look at the Nationals, who have not looked quite the same since preemptively shutting Stephen Strasburg down just a few years ago. But the Yankees have been playing the long game for several years now, and all of the key players to their successes in 2018 are under team control next year; and more help is on the way. I feel comfortable trusting the process here. If Judge is healthy (or as healthy as a player can be at this stage of the season), then he should play. If his wrist is still giving him issues, he shouldn’t. And, as much as I hope it’s the former, I do think the latter is something that needs to be given a great deal of consideration.